My name is Meghan. 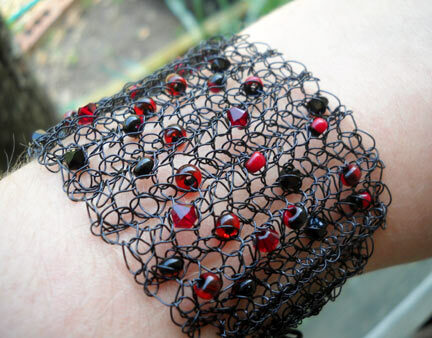 I make crochet jewelry and one of my favorite mediums to work with is wire. It creates a very unique and beautiful piece of art. I have been crocheting all of my life and the switch from yarn to wire and beads was an easy one for me. I actually didn't know that others were doing it too until after I started doing some research on crochet jewelry and even found a few books on it. I design all of my pieces and am constantly coming up with new ideas and plans. Its so fun discovering the possibilities of what you can create with wire and a crochet hook. 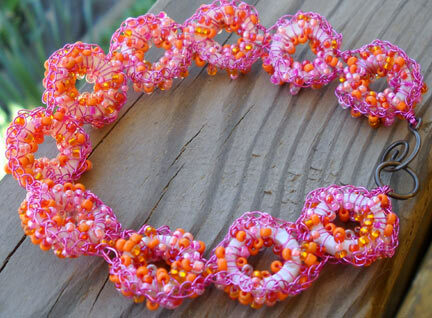 Lovely work - love the colorful bracelet; it's perfect for summer! 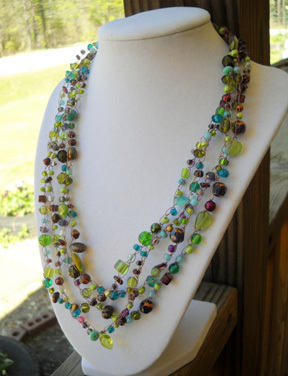 Meg, you create beautiful jewelry. I went to your etsy shop and was feeling like a child in a candy store. I love your work... IT is beautiful... but that bracelet ROCKS!